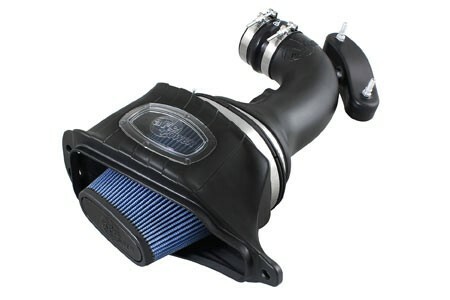 aFe is proud to introduce the all new Momentum sealed intake system for the 2015 Z06 Corvette Stingray. This all new Momentum intake system resulted in +46 horsepower and +39 ft/lbs torque while outflowing the factory intake system by 25%. Superior in every way, from the one-piece sealed housing, to the massive air filter, roto-molded tube w/ built-in resonance chamber and premium hardware. This system uses a CAD designed, dyno-tuned, roto-molded intake tube & housing to achieve maximum power gains while maintaining a perfect fit. This is a direct bolt-on kit and requires no cutting or drilling on OEM parts. 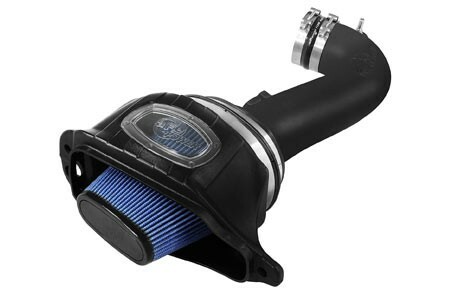 Includes both the Pro Dry 5 S oil-free & Pro 5R oiled washable/resusable performance air filters. Unique One-Piece Housing w/ Sight Window: The one-piece sealed housing is used to eliminate the use of multiple components and ensure the coolest air intake charge available. A large clear sight window allows for filter inspection without removal of the air box. The roto-molded housing is made out of black cross-linked polyethylene and mounts directly into the factory location on the fender well to capture the coolest air available from the factory intake tract. Roto-Molded Tube: CAD designed, dyno-tuned, roto-molded intake tube will achieve maximum power gains while maintaining a perfect fit. This tube has a built-in resonance chamber to catch un-wanted air intake noises. Two billet aluminum fittings are mounted on the tube to provide a perfect connection with the factory vacuum lines. Massive Cone Air Filter: This Momentum intake system was designed around the largest filter possible to allow maximum performance and filtration. This cone filter has a massive 7" oval flange and is 9-1/2" tall filter media. 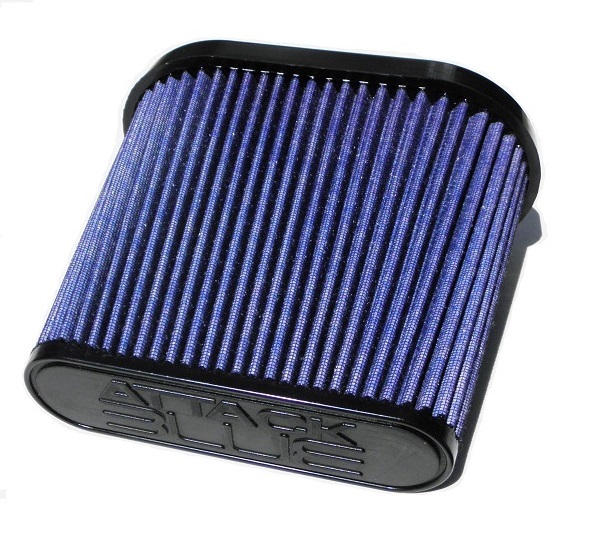 The Pro 5R performance air filter features 5-layers of progressively finer mesh cotton gauze media and is constructed with 100% polyurethane frame for long life and multiple cleaning cycles. 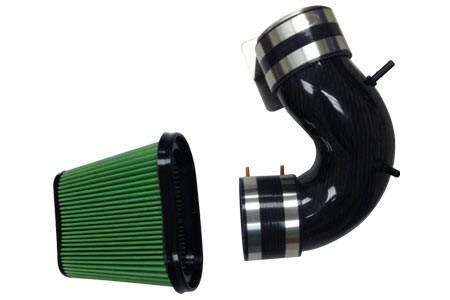 Kit includes both the Pro 5R and Pro Dry S filters - which gives you the option to choose maximum flow (oiled, Pro 5R) or maximum convenience (oil free, Pro DRY S) on your intake system. Premium Hardware: Premium stainless steel T-bolt clamps and a reinforced silicone hump coupler are used for strength and durability while also providing the most secure installation available. Momentum intakes are designed with fewer parts for a quick and simple installation.